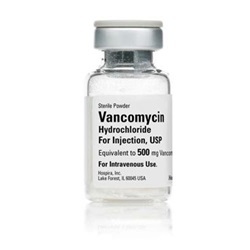 Steirle injectable antibacterial Vancomycin HCl 500mg powder in a 10mL vial. NDC: 00409-4332-01. Manufactured by Hospira. 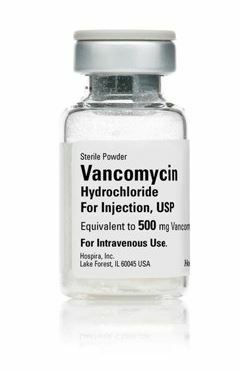 Comes 10 vials per box.